Madrid (/məˈdrɪd/, Spanish: [maˈðɾið], locally [maˈðɾi(θ)]) is the capital of Spain and the largest municipality in both the Community of Madrid and Spain as a whole. The city has almost 3.166 million inhabitants with a metropolitan area population of approximately 6.5 million. It is the third-largest city in the European Union (EU) after London and Berlin, and its metropolitan area is the third-largest in the EU after those of London and Paris. The municipality itself covers an area of 604.3 km2 (233.3 sq mi). The Madrid urban agglomeration has the third-largest GDP in the European Union and its influences in politics, education, entertainment, environment, media, fashion, science, culture, and the arts all contribute to its status as one of the world’s major global cities. Madrid is home to two world-famous football clubs, Real Madrid and Atlético de Madrid. 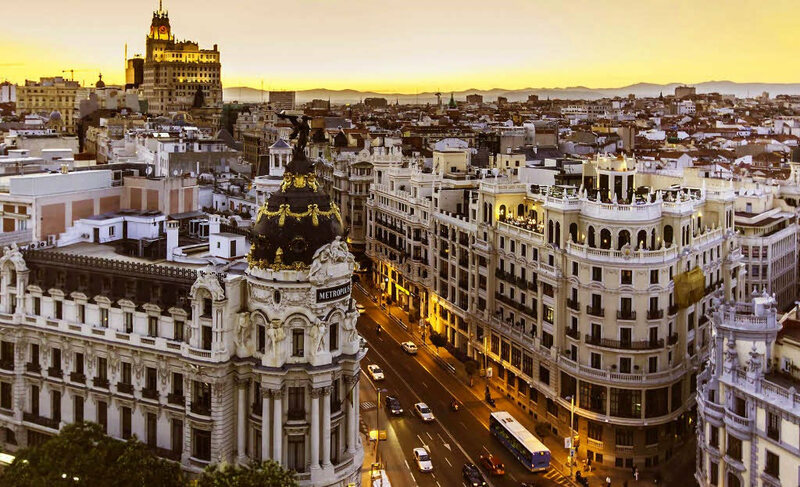 Due to its economic output, high standard of living, and market size, Madrid is considered the major financial centre of Southern Europe and the Iberian Peninsula; it hosts the head offices of the vast majority of major Spanish companies, such as Telefónica, IAG or Repsol. Madrid is the 17th most liveable city in the world according to Monocle magazine, in its 2014 index.